25 mm x 30 cm wide nylon round sling inside protective sleeve. 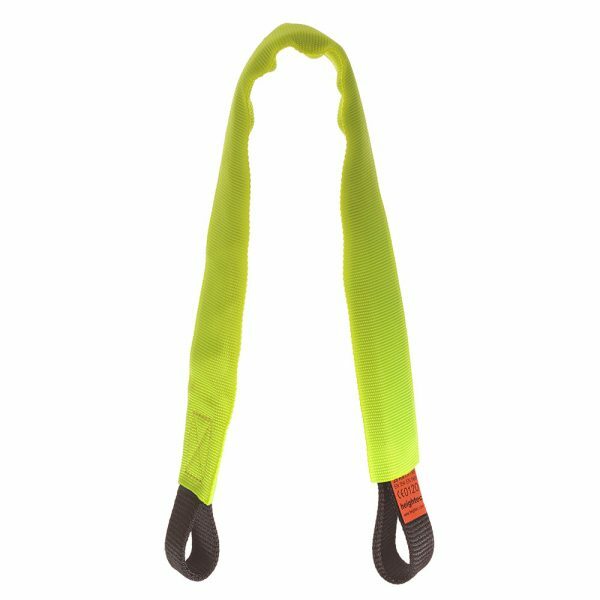 Sewn circular sling with high visibility colour protective sleeve. The sleeve is stitched at one end. The sleeve of the protected sewn nylon sling gives extra abrasion resistance. Sleeve can be quickly slid back for ease of inspection. Individual ID number for identification and tracking of individual slings. Colour ensures high visibility in all conditions. Available in 30 cm, 60 cm, 120 cm & 240 cm lengths. heightec nylon slings are also available as unprotected. Can be used end to end or wrapped around as a strop. Allows connection to an anchor point that may be too large to connect directly to.